These styles are in huge demand lately. They are taking urban aesthetics into a laid-back direction! Experimentation is at the heart of the Resort 2017 collection, which draws inspiration from the creative process itself. Versatile, adaptive pieces form looks that can cross seasons, in a color palette that moves from ice cream pastel tones to bold, energetic stripes, prints and textured neutrals. Fabric itself is taken as a starting point, with particular attention paid to the fabric mills and factories of Italy that Ports 1961 works with. With a nod to the heritage of the house, the label’s Made in Italy and Work in Progress insignia are reworked to become central components of individual garments. For instance, an athletic scarf, recalling the optimism of the sports fan, features a Made in Italy woven jacquard blanket fabric in colorful stripes. Elsewhere leather shoes are stamped with ‘Genuine Leather’ in a metacomment on the design process. Woven jacquards, cottons and silk fil coupé offer an evolved take on traditional shirting and outerwear. Sporty stripes pay heed to a buoyant, spirited mood. Glossy coated cotton in a rich brown features on a cocoon coat. Everywhere there is a sense of challenging the norm with lighthearted grace, subverting our expectations of what femininity and elegance can look like. Playful elements such as patchwork motifs, collaged pieces and cut-outs advance the inherent adaptability of the brand’s classic shapes. A shrunken raincoat features cut-outs which allows it to be worn as a cape over the shoulders. A cream jacket in light silk fil coupé is illustrated with charming dark green doodles, becoming an essential layering piece. The tape traditionally used in the construction of raincoats is repurposed into a medium for decoration, as scribbled lips appear joyfully on bonded cotton coats and Breton striped sweaters. 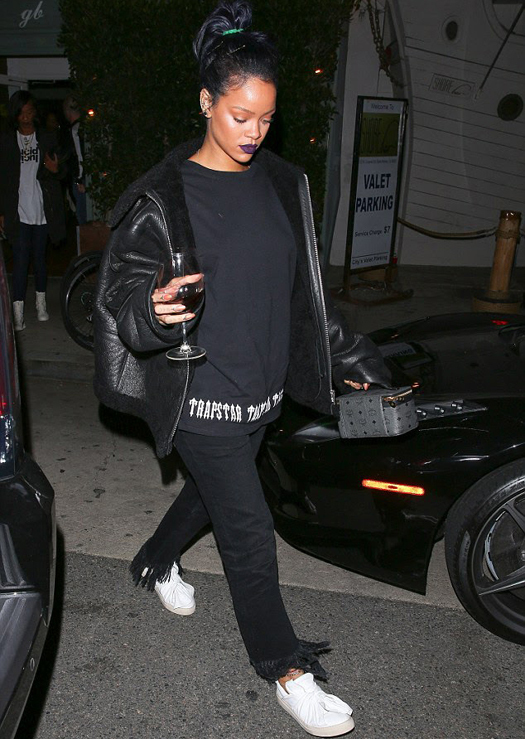 Back in April, Rihanna chose PORTS 1961 Womenswear signature Bee Sneakers in one of her outings. She wore the best seller, in white leather. Big Sean, already fan of the brand, as part of hip hop duo Twenty88, wore PORTS 1961 Menswear Spring Summer 2016 denim star camo jacket to perform his latest hit at The Late Late Show with James Corden back in May. Supermodel Chanel Iman attended the Mumm Grand Cordon Champagne bottle unveiling in NYC on June 14th, wearing PORTS 1961 Spring/Summer 2016 knit fringed dress. 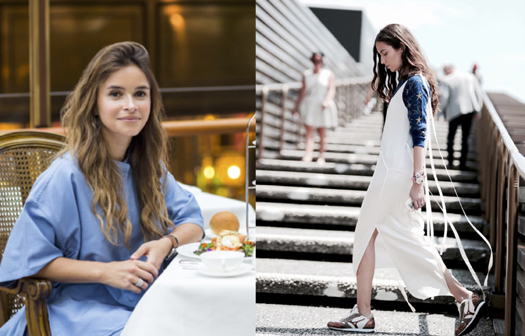 Fashion influencers Miroslava Duma and Erika Boldrin also love the collection. Miroslava was wearing a light blue silk ensemble in Singapore and Erika a SS16 satin dress during Pitti fair in Florence. 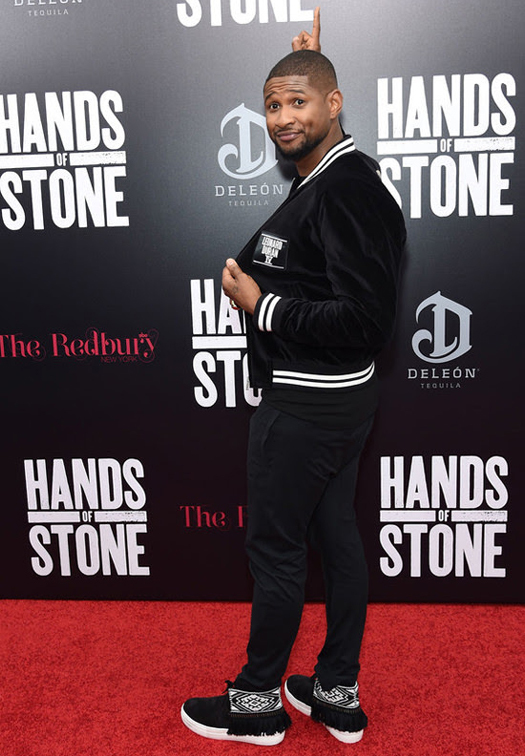 Singer/Songwriter Usher wore PORTS 1961 Menswear FW16 embroidered derby sneakers while attending the premiere of “Hands of Stone” in New York, USA on August 22nd. 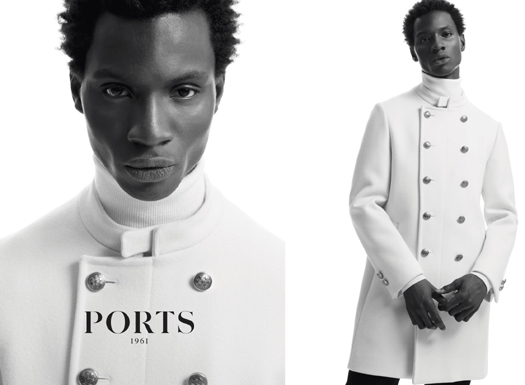 And don’t forget to check the Fall/Winter 2016 Ports 1961 menswear advertising campaign photographed by Creative Director of PORTS 1961 Menswear, Milan Vukmirovic and styled by Scarlett Viquel. So cool! Available in stores, Ports 1961’s signature women’s Bee Sneaker features its distinctive bow, raw cut, hand-knotted and hand-stitched in order to be uniquely distinctive to the wearer. The sneakers are available in fabrics and shades to match the season’s garments and the classic leather and suede colors. They also feature rubber soles for comfort and durability.